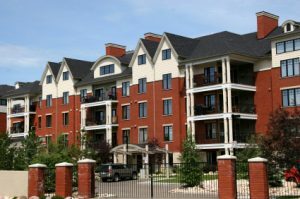 If you own a Raleigh apartment complex, housing complex, or other commercial facility, it’s important to keep your tenants and employees, as well as their possessions, safe and secure. Gate locks from Marshall’s Locksmith are the perfect security solution for a variety of enclosed outdoor spaces. With a simple lock installation from our licensed Raleigh, NC locksmiths, you can help keep unwanted visitors out of your apartment complex or recreational area. Looking for an extra level of security? Try our electronic gate locks. Most electronic gates do have an element of access control, and it’s important to choose a gate lock that works for your individual security needs. Take a look at our Access Control page to learn more about the different types of access control or contact us to speak with one of our licensed locksmith technicians about your access control options. For gate lock installation services and products in Raleigh, NC and surrounding areas, call Marshall’s Locksmith today at (919) 231-8017! We’ll be in touch with you shortly to schedule an appointment with one of our Wake County lock specialists. Marshall’s Locksmith proudly serves residential and commercial customers in Raleigh, Durham, Chapel Hill, Cary, Apex, Garner, Wake Forest, Knightdale, Wendell, Zebulon, Youngsville, Clayton and surrounding areas throughout North Carolina with gate lock installation and a variety of additional locksmith services and products.